Over the past few days, there has been a tremendous wave of optimism that it may be possible for war with Syria to be averted. #4 The Syrian “rebels” desperately want the U.S. military to intervene in the war in Syria. In fact, that was the entire reason for the false flag chemical weapon attack in the first place. 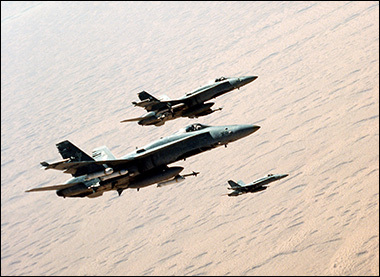 #6 Qatar desperately wants the U.S. military to intervene in Syria. Qatar has also spent billions of dollars to support the rebels in Syria, and it has been reported that “Arab countries” have even offered to pay for all of the costs of a U.S. military operation that would remove Assad. #8 Many members of the U.S. Congress want this war. Senators John McCain and Lindsey Graham are virtually foaming at the mouth, and Robert Menendez, the Chairman of the Senate Foreign Relations Committee, said that he “almost wanted to vomit” after reading Russian President Vladimir Putin’s plea for peace in the New York Times. Writing for conservative columnist Mychal Massie’s website, Bubalo cites a “close and verifiable source” who told him that a friend at Ft. Hood had received news that he was to be sent to Egypt for the next nine months. “This particular soldier said that while he was not really thrilled about the assignment to Egypt, it was better than the soldiers that remained at the military base BECAUSE THEY HAD JUST RECEIVED THEIR DEPLOYMENT ORDERS TO GO TO SYRIA,” writes Bubalo. For the moment, Obama and Kerry will dance around and make it look like they are considering peace. They will try to get Congress to authorize a strike “if diplomacy fails”. Abu Abdul Rahman, a 22-year-old from Tunisia, sat in a safe house earlier this week in Antakya — a southern Turkey town that’s fast becoming a smugglers transit route. He was waiting for a smuggler to take him across the border to fight in Syria. “Almighty Allah has made Jihad a duty on us. When our Muslim brethren are oppressed, it is a duty to support them wherever they are, because Muslims are not separated by countries,” he said. “This was a dream for me, to wage jihad for Allah’s sake, because this is one of the greatest deeds in Islam, to lift aggression off my brothers, to bleed for Allah and no other,” he said. Is this really who Obama intends for us to become “allies” with? In article after article, I have documented how Obama’s Syrian rebels have been ruthlessly murdering Christians, using chemical weapons and dismembering little girls. I don’t know how old the victim was but he was young. He was forced to his knees. The rebels around him read out his crimes from a sheet of paper. They stood around him. The young man was on his knees on the ground, his hands tied. He seemed frozen. Two rebels whispered something into his ear and the young man replied in an innocent and sad manner, but I couldn’t understand what he said because I don’t speak Arabic.